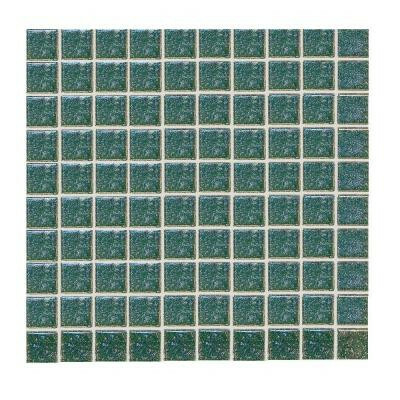 This daltile sonterra glass emerald iridescent glass sheet mosaic tile features a textured surface with slight shade differences and a bright, glossy sheen reminiscent of the visual qualities of precious stone to enhance any setting. The glass is naturally impervious to water, making it suitable for use in wet areas like showers, pools or for backsplashes without any treatment for added convenience, and as the tiles absorb little or no water, they are less susceptible to frost damage in freeze-thaw conditions for added durability in colder temperatures. You can buy this product in our internet market. We will be glad if you make the right choice.